We first got a chance to meet the folks at Mcor during the 2014 International CES in Las Vegas. There, our 3D Faster correspondent John Hauer, CEO of 3DLT, spent some time talking with Mcor about changing trends in the rapidly expanding 3D printing industry. Mcor is one of the pioneers in the 3D printing world. Mcor was established in 2004, almost an entire decade before 3D Printing became a household word. 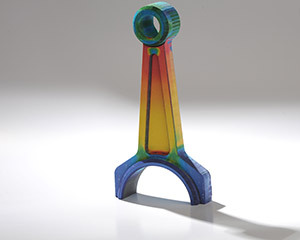 Early on they focused on the commercial 3D printing industry focusing on CAD/CAM and other industries that relied on 3D printing like architecture and machining. As the company evolved, and grew, they started making it their mission to make 3D printing accessible to everyone. They serve the world from offices in Ireland, the UK and the US. Part of that exposure to 3D printing and making 3D printing accessible to everyone is bringing 3D printing in the classroom. There is a wide range of uses for 3D printing in the classroom. Art, science, engineering, robotics, DIY educational gaming, and even classroom decoration are just a few examples of where 3D printing is useful in schools. Mcor will be exhibiting at the upcoming ISTE convention in Atlanta later this month with the hope of reaching even more teachers, administrators and educators to show how 3D printing is changing the world our students live in. We had a chance to talk with Mcor in a more indepth interview about 3D printing in the classroom. Check out the interview below. Mcor Technologies Ltd, winner of the 3D Printshow Brand of the Year Award, is an innovative manufacturer of the world’s most affordable, full-color and eco-friendly 3D printers. They are the only 3D printers to use ordinary paper as the build material, a choice that renders durable, stable and tactile models. Established in 2004 with a talented team of specialists in the area of 3D printing, software and CAD/CAM, Mcor’s vision is to make 3D printing more accessible to everyone. The company operates internationally from offices in Ireland, the UK and the US. www.mcortechnologies.com. What’s Mcor’s role in bringing 3D printing technology to the classroom? When educating students of any age, 3D printing can be used as a core part of the curriculum to excite students, enrich their learning and encourage their advancement. There are a dizzying array of 3D printer choices and understandably educators might at first be tempted by media hype about, and very low initial purchase prices of, a few hobby-class 3D printers. Yet, it’s wise for them to dig deeper and learn more about alternatives so they can make a better-informed and better long-term decision for their students. 1. Mcor 3D printers have the lowest operating cost of any 3D printing technology, by far. Low operating costs translate into increased student access to the technology. You can purchase a hobbyist printer, but if the high cost of the proprietary plastic or powder material limits the amount students can print or requires students to pay exorbitant fees for their models, then students aren’t reaping the benefits they should or could out of the technology. Mcor 3D printers use common and readily available letter and A4 copy paper, the kind schools already keep well-stocked in their supply cabinets, so the cost-per-model is 5%-20% of competing technologies and the ongoing cost is one-fifth of any other 3D printing technology. 2. Mcor 3D printers are safe and eco-friendly. No chemicals, fumes, toxic air born particles, special disposal facilities or sharp cutting tools are involved in the Mcor 3D printing process. Mcor 3D printers use regular paper, water-based adhesive and water-based ink. So, unlike other 3D printers, Mcor 3D printers are perfectly safe for students to use daily in their classrooms. There are also no messy powders to vacuum or dust. The process and materials are also green and eco-friendly; the paper, glue and ink can all be fully recycled; even the 3D printed models themselves can be fully recycled. So not only is the process safer than the other technologies, using Mcor technology teaches students a powerful hands-on lesson about environmental responsibility. 3. Mcor 3D printers are easy to use and maintain. This enables students and teachers to focus on generating ideas and improving designs. It takes only students minutes to remove a model from the surrounding paper after printing simply with their bare hands and a pair of tweezers. And, unlike other technologies, Mcor 3D printed models require no post-processing after printing. Students can handle them straight out of the machine immediately after printing. 4. Mcor 3D Printers are professional-class. Mcor 3D printer resolution is 12µ, 12µ, 100µ (0.0004 in, 0.0004 in, 0.004 in). This high resolution produces realistic models with fine detail, hollows and moving parts, the kind of models that students need to be printing in order to properly prepare them for careers and advanced educational programs. 5. Mcor 3D printers provide True, accurate and realistic color. Mcor 3D printers provide unequaled color 3D printing capability that enhances communication and understanding. Ink is designed for paper and Mcor’s patented ink penetrates through the paper, resulting in high color fidelity and accurate, realistic models – any color anytime. 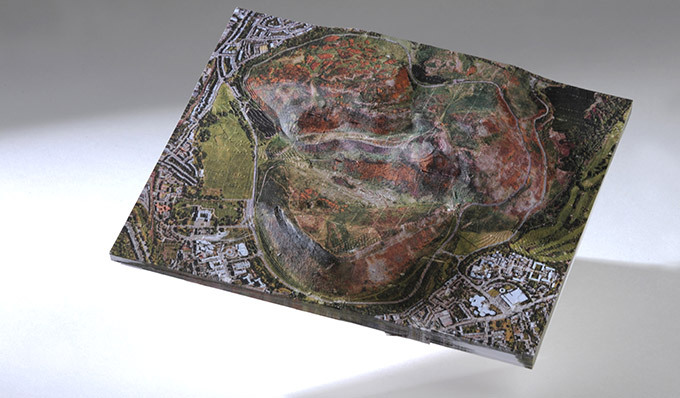 It’s just what you expect from your 2D printer, but with Mcor, you get it in 3D. Providing 1 million+ colors (CYMK – 4 cartridges including black) and 5760 x 1440 x 508 dpi color resolution, the 3D printed color is consistent with the color on screen, from model to model and on the undercuts and sidewalls of your models. 6. Mcor 3D printers are ideal for every department. Since they print in True color, Mcor 3D printers can be used by students in various departments, from product design and engineering to architecture, medical and fine arts. Many folks feel that we’re just beginning a revolution with 3D printing in the classroom, that it may be as influential as traditional printers coming into the classroom or even the 1980s as schools added computers to classrooms, which school of thought does Mcor believe? 3D printing has been in classrooms for many, many years. It’s only just recently that low-end hobbyist-class printers have entered the classroom and garnered considerable media hype, so the revolution isn’t just beginning as many might think; it began 10-15 years ago. 3D printing is already an important part of curricula at many schools and universities to excite students, enrich their learning and encourage their advancement by enabling them to transform their ideas into physical 3D printed models that they can actually hold in their hands. Professional-class 3D printers provide students with valuable hands-on experience in the complete design process, from idea through completed product and foster greater interaction and feedback about designs. In addition, students can present recruiters with a physical 3D portfolio of their work which gives them a competitive edge when applying for jobs and advanced educational programs, all of which is good for the schools who provide these opportunities. Is 3D printing in the classroom an avenue for schools that may have limited budget, get access to better resources? There are a few different ways for schools to view and assess the cost of 3D printers given their limited budgets. There is the initial purchase price of the printers themselves. And more important, yet often overlooked, there is the total cost of operation and ownership for the 3D printers. The rock bottom initial purchase prices of hobby-class 3D printers make them enticing for budget-strapped schools. However, those printers use very high-cost plastics which limits the number of students who can print and often requires students to pay high fees for their models, defeating the purpose for having the 3D printing technology in the first place. Essentially, those printers become expensive paper-weights. Mcor’s professional-class 3D printers use regular copy paper, the kind schools already keep well-stocked in their supply closets, so the cost-per-model is 5%-20% of competing technologies and the ongoing cost is one-fifth of any other 3D printing technology. Mcor’s lower operating costs mean more students can 3D print more models more often. That results in better prepared students who can include lots of 3D printed models in their portfolios. What are some highlights that you’ve seen over the past couple of years as far as 3D printing goes in the classroom? The introduction of multicolor 3D printing is an exciting development for 3D printing in schools. Mcor’s full color 3D printing technology enables schools to leverage the investment they’ve made in their Mcor 3D printer across many departments, including engineering, mechanical design, tooling, architecture, medical, chemistry, drama/fine arts, archeology/cultural heritage, geospatial and digital media. In comparison, monochrome 3D printers have limited use. Vincennes University, a hands-on university in Indiana, is actually able to give all of its students unlimited access to 3D printing, without charging fees, due to the low running costs of Mcor 3D printers. Their students were able to slash the cost of prototypes. A pulley system, for example, costs $35 in materials from a plastics-based 3D printer but only one-seventh the cost – or $5 – with the Mcor 3D printer. Finding cost savings of this magnitude is something employers deeply appreciate. In addition, students understand and appreciate the sustainability advantage of Mcor’s 3D printing technology. It’s important to them and teaches them a valuable lesson that it is possible to use the most advanced technology, while remaining friendly to the environment. Students at Lee High School in Texas are creating mechanical parts, models of their architectural designs, and quintessentially “practical” products like 3D signs. When they create interlocking gears, for example, they learn about design, gear ratios, 3D printing and 3D printers. When they create architectural models, they discover strengths and weaknesses that may have been hidden on the computer screen. 3D printing has made Lee students more agile in their three-dimensional thinking. As they master the workings of the hardware and software, they will assume greater responsibility for production and will help train faculty members from other disciplines, such as art, science and history, in the technology. Are 3D printers in classrooms for every level K-12 and of course beyond? Not all 3D printers are safe (or eco-friendly), particularly for younger students. Unlike the plastics used by many 3D printers, particularly hobby-class printers, there are no chemicals, odours, toxic air born particles, special disposal facilities or sharp cutting tools in the Mcor 3D printing process. And there are no toxic fumes emitted from melting plastics, a topic that has gained considerable media attention of late. Mcor 3D printers use regular paper, water-based adhesive and water-based ink, so they are perfectly safe for students to use daily in their classrooms. Mcor’s process and materials are also green and eco-friendly; the paper, glue and ink can all be fully recycled; even the 3D printed models themselves can be fully recycled. So not only is the process safer than the plastics-based printers, using Mcor technology teaches students a powerful hands-on lesson about environmental responsibility. Ease of use and maintenance for the 3D printer should be evaluated. Mcor 3D printers are easier to use and maintain than other 3D printers. This enables students and teachers to focus on generating ideas and improving designs. It takes students only minutes to remove an Mcor 3D printed model from the surrounding paper after printing simply with their bare hands and a pair of tweezers. And, unlike most other printers, Mcor 3D printed models require no post-processing after printing. Students can handle them straight out of the machine immediately after printing. In addition, Mcor 3D printers are highly reliable, with 99% uptime, so students can spend time designing and 3D printing with Mcor 3D printers vs. spending a lot of wasted course time tinkering with hobby-class printers in order to keep them running. Educators should also consider whether the 3D printer is a hobby-class printer or a professional-class printer. Mcor’s professional-class 3D printer resolution is 12µ, 12µ, 100µ (0.0004 in, 0.0004 in, 0.004 in), which means students can produce realistic models with fine detail, hollows and moving parts, without the “stair stepping” that often appears on hobby-class models. Mcor enables students to make the kind of models they need to include in their portfolios, prepare for careers and advanced educational programs. What products/assistance does Mcor offer to education to help get 3d printing in the classroom? Mcor manufactures the IRIS, full color 3D printer and the Matrix 300+ monochrome 3D printer. SliceIT and ColourIT, in the case of the IRIS) software comes with the systems. Local Mcor certified resellers provide training and support. Mcor also offers special pricing for the education market. Who are the key members of the Mcor team, what did they do before 3D printing? Mcor’s Selective Deposition Lamination (SDL) or paper 3D printing was invented by brothers Dr. Conor and Fintan MacCormack in 2003. Dr. MacCormack first discovered 3D printing in 1986, when he was a secondary student in Ireland watching a BBC special. The technology captured his imagination in the same way that motorcycles, rockets, computers and space travel already had. He initially saw the technology in person when he was earning his doctorate degree at Trinity College. Unfortunately, the school’s 3D printer was only a tease: because of the high cost of the material, only one or two students could print a model at the end of the year, defeating the whole purpose of having the technology. When he started working with Airbus as an engineer, he had ample access to a 3D printer – access he knew most students and engineers were denied. It just wasn’t right. Although 3D printer prices were declining, the cost of their materials was soaring. So Dr. MacCormack and his older brother, Fintan, a qualified aircraft mechanic and electrical engineer, set out to invent a 3D printer with an operating cost so low that the technology would be accessible to everyone. It was also important to make the printer robust enough for serious use in commercial settings, yet easy to use and with- out the toxic chemicals on which so many 3D printers rely. As former site manager for a 5th Framework European project with Airbus and principal investigator with SPS Technologies in the US in the aerospace sector, the company CEO, Dr. MacCormack has a blend of general management and project management experience and, with a PhD in mechanical engineering, has in-depth experience in the CAD/3D printing field. He has worked as a consultant with companies such as Boston Scientific, ABS Pumps, Aisle Master, Mantis Cranes, Tanco Autowrap, Keenan Systems and Dromone Engineering. Conor has been CEO of Mcor Technologies since 2007, and in that time the company has ran a very lean operation, winning two national competitions, launched a world beating product and generated worldwide demand. Fintan MacCormack leads the company’s technical development as Chief Technical Officer. A qualified aircraft mechanic and graduate from the prestigious Temple University in the US in electrical engineering, Fintan has accumulated a vast amount of experience in control systems and machine software development with the world’s leader in wire bonding machines in the semi-conductor industry Kulicke and Soffa Industries. Kulicke and Soffa supply machines to the likes of Intel, Lexmark, AMD and NVIDIA. Fintan also worked with RCA in Princeton NJ, and British Aerospace as a fabricator on the Harrier Fighter Aircraft. Where can people find out more about Mcor and then Mcor in the classroom?